Solidarity with the workers and the broad masses in Venezuela against US-imperialist threats and attacks! Congratulations for the successful conducting of the 3rd Rebellious Music Festival! Threat to ban the rebellious music festival needs full solidarity! MLPD condemns the aggression of the fascist Turkish regime against Rojava (West Kurdistan/Syria) and Şengal (South Kurdistan/Iraq)! Sever relations with the Erdoğan government! Vote NO in the referendum on the presidential system in Turkey! May Day 2016: International Working-Class Unity – for Jobs, Peace, Environment – Genuine Socialism! 29.09.2014: Protect Kobane! Prevent a second Sengal! Defend the courageous Rojava! 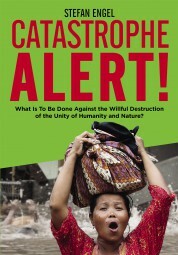 Jose Maria Sison's Comment on the Book from Stefan Engel about the "Alarm of Disaster ..."
Against the Closure of Opel/GM in Bochum Germany - A First „Warning“ of the Workforce - For a company-wide struggle for each and every job at the cost of GM profits! January 2012: Interview with Stefan Engel: The Turbulences of the Imperialist World System Are Preparing the Ground for a Revolutionary World Crisis!